A man and woman found dead in a Charleswood home this week died as a result of a murder-suicide following a violent domestic dispute, police say. A man and woman found dead in a Charleswood home this week died as a result of a murder-suicide following a violent domestic dispute, Winnipeg police say. 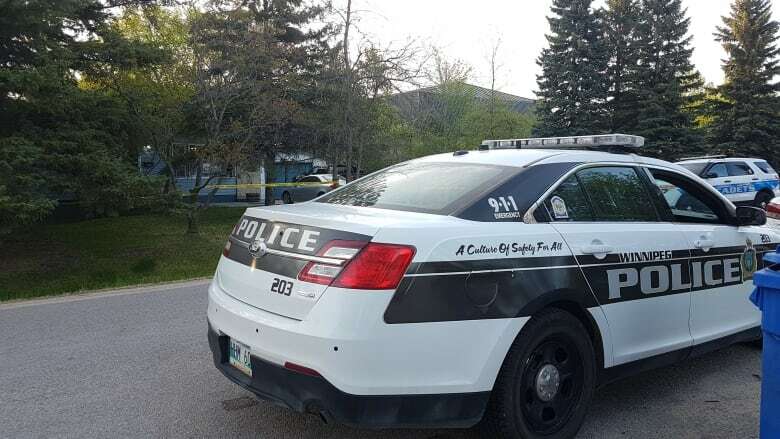 The homicide unit has been investigating since Monday night, when the bodies of a man and woman were found after they were called to check on the well-being of the residents at a home on Buckingham Road, between Eldridge Avenue and Roblin Boulevard. On Friday, police identified the deceased as Angela Turner, 50, and Lorne Turner, 58. Investigators believe Angela Turner died after she was assaulted and sustained upper-body injuries. Lorne Turner's injuries were self-inflicted, police said. Police spokesperson Const. Tammy Skrabek said the Turners had been married for roughly 30 years but recently separated, and Lorne had moved out of the home three weeks earlier. Neighbours previously told CBC News Lorne was often seen jogging in the area and he'd been seen working in the yard on Monday afternoon. Skrabek said police were called after someone went to the door and saw "something suspicious" through a window. The couple's bodies were found shortly after they died. She said police had been called to the home for a domestic incident once in the past, but charges had not been laid. Six neighbours who were gathered outside the home Monday told CBC News police were at the home for an incident in 2009. All of the neighbours declined to provide their names. An advocate with 18 years of experience working with women who have experienced violence said separation can be the most dangerous time in a relationship. "When one partner leaves, it certainly is one of the risk factors that we know of," said Anna Pazdzierski, a former executive director of Selkirk's Nova House women's shelter who also works with the Manitoba Association of Women's Shelters. People need to start talking about what is going on in their relationships and men need to be taught what it means to be in a healthy relationship, she said. "It's happening to one in three women right now in Canada and it shouldn't be," she said. "We expect people just to learn by osmosis or something. We don't do much as a society around how to have a healthy relationship, how to communicate properly with your partner." Sherri Vokey said Angela was a well-known breeder of a rare kind of cat. Vokey said she went to the Charleswood home in 2017 to buy a kitten from Angela. "When I went to pick up my kitten, there were lots of cats climbing around on cat climbers and cat trees, so it was evident there was a lot of cats in the house," she said. "I could hear them meowing in another room, so there were even more cats that I couldn't see at the time." 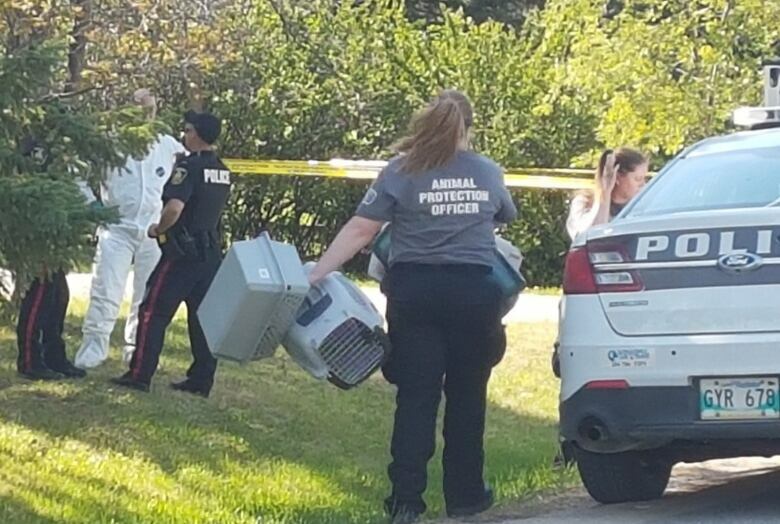 Animal protection officers were seen carrying at least a dozen kennels out of the home on Tuesday morning. While Skrabek said police are not looking for any suspects, investigators are asking anyone with information that may be useful to the investigation to call them at 204-986-6508. "The homicide unit is still trying to piece some information together in terms of the injuries that were sustained by both parties and how they came into possession of the instruments that may have caused the injuries," she said. "We really don't know what contributed to the outbreak that happened the other day and that's where they're looking for some additional information, just to piece all the pieces together. "Really it's for respect for the family, so they know what transpired and what led up to it, so they have some peace of mind."